The Samsung Galaxy S8 has been no mystery to the tech world, and while the phone is expected to launch in about a weeks time almost everything is already known about the next big flagship from Samsung. Tech industry tipster has Evan Glass has leaked what appear to be images of the upcoming Samsung Galaxy S8’s color options. 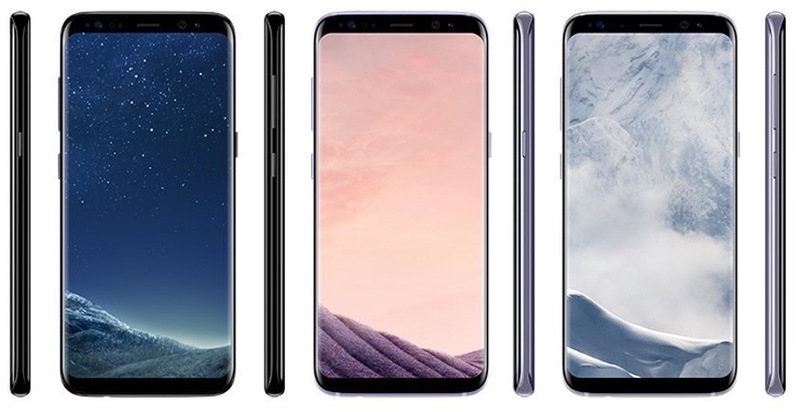 Expected to launch in three colors, according the Blass, the Samsung Galaxy S8 will be available in black sky, orchid grey and arctic silver. The leaks also include details about the pricing of the Samsung Galaxy S8 which is expected to start at € 799 while the bigger brother the Samsung Galaxy S8+ is expected at 899€. Samsung will also launch a DeX station which will allow users to connect the Galaxy S8 to a monitor to get PC like performance. The Samsung Galaxy DeX station is expected for 150€. While the new GearVR which has been heavily leaked as well is expected for 129€ The new design Gear360 is expected for 229€.